Entrepreneurs and traders from all over state showcased their products on 250 stalls at ‘Destination Bihar Expo’ that was jointly organized by Industries department and Bihar Industries Association (BIA) at Gandhi Maidan held from March 9 to 13. The expo was the fifth edition of the BIA’s biannual event. Around 100 stalls were set up by the various state government departments, including tourism, road construction, urban development and housing, building construction, health besides art, culture and youth affairs department. Central government ministries and their undertakings also took part in the exhibition to publicize the government’s policies and programmes. 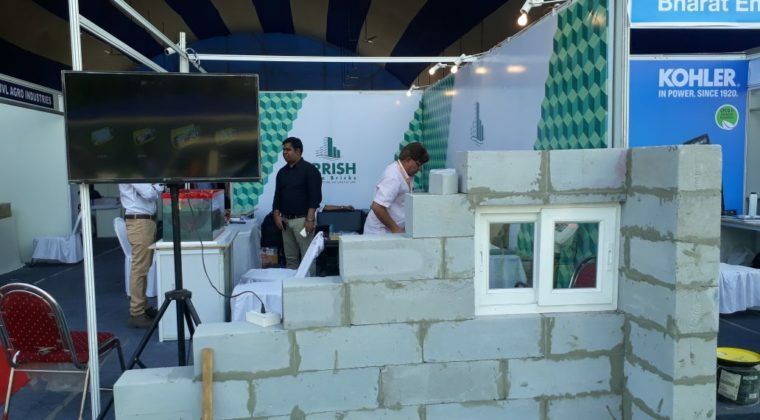 Krrish White Bricks displayed their products and services in order to encourage new and prospective investors and to aware people about the adavnatges of AAC blocks in the Construciton industry.Guests and the People attending the expo were pleased to see several benefits of AAC being it a cost effective solution for the construction industry.